The Chaco Phenomenon was an instance of a rapid jump in culture. Huge three-and four-story houses built with exquisite stonework, and containing hundreds of rooms were built by people that only a short time prior were living in underground pit houses. 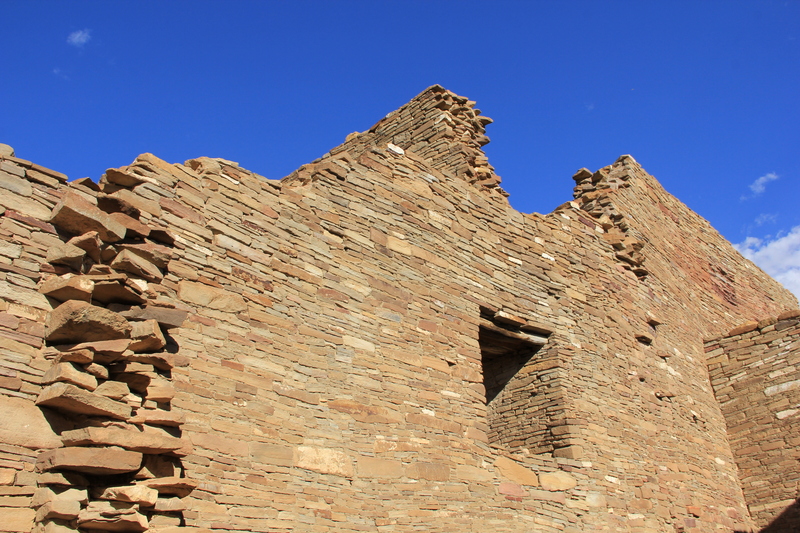 During the 11th and 12th centuries the Chacoan people suddenly developed an extraordinary culture, that over generations completed great works of civic architecture.These achievements were only made possible by a social, economic, religious and political system that had not existed before that time. The rapid jump in culture raises perplexing and unanswered questions. Why the marvelous great houses were built and then completely deserted by AD 1250 adds to the mystery of the phenomena. 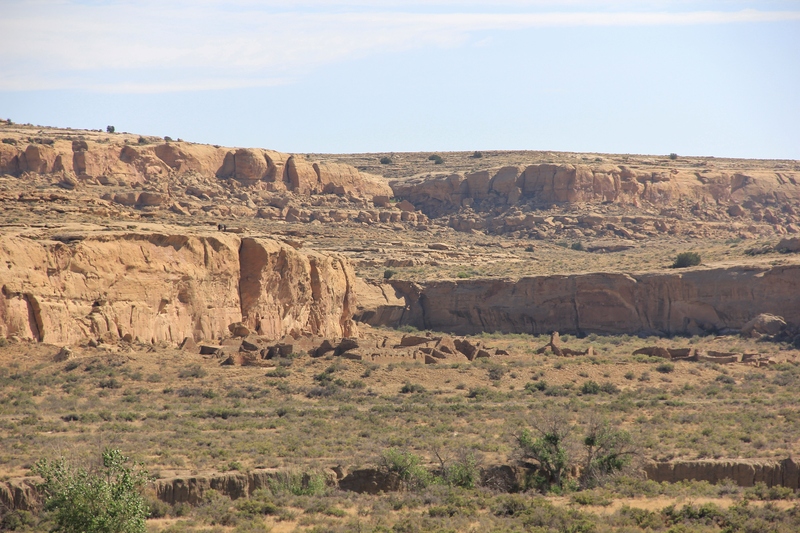 Chaco Canyon in western New Mexico is a dry desolate wilderness landscape which makes it all the more extraordinary when first encountering the stunning architectural ruins of the Chacoan great houses. 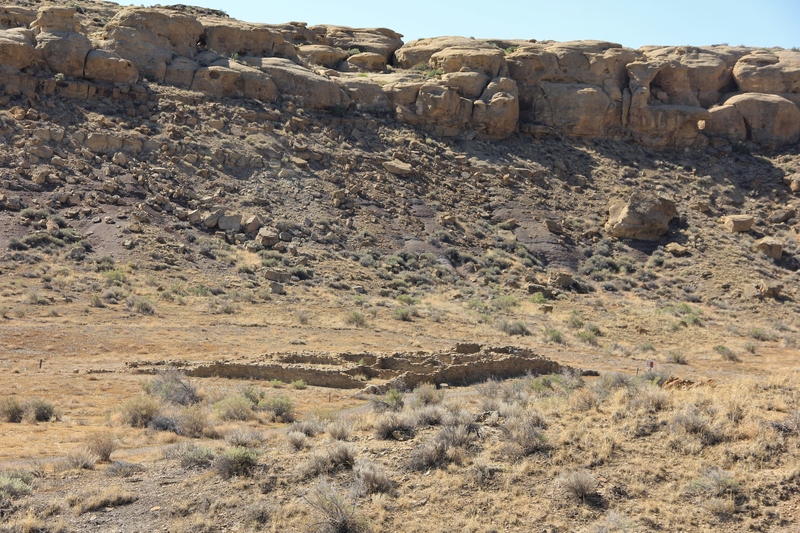 For centuries inhabitants in the region of Chaco Canyon lived in pit houses. These partially submerged structures were dug four to six feet into the ground and roofed with a wooden framework covered in thatch and adobe. These simple subterranean structures were secure places to store foodstuffs, utensils, tools, gave shelter from the elements, was a place for ritual and above all the center of the family unit. Around AD 850 small sites around the area began to contribute labor to construct huge community centers for religious ceremonies, trading events and public gatherings. Great houses are thought to be public buildings with small resident populations that hosted pilgrims and served as trade centers for a vast region. 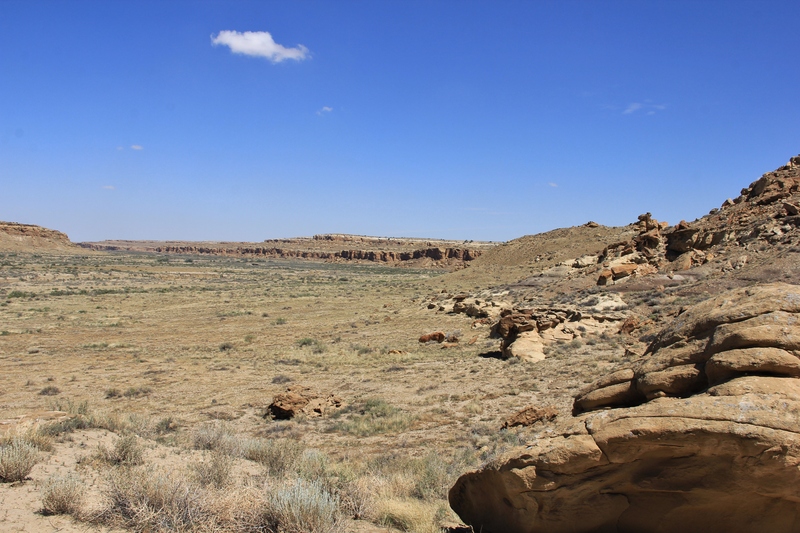 There were never a lot of people living in Chaco Canyon. At the height of culture in the early 12th century there were only about 2,000 people who may have lived there. 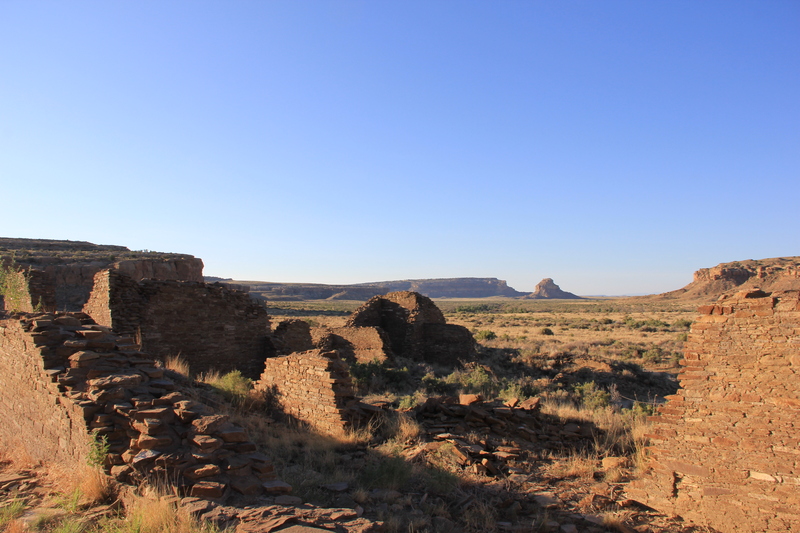 Pilgrims from a 150 distant communities actively participated in what happened at Chaco in a communal ongoing relationship. What they accomplished is phenomenal. Approximately 160 rooms, four kivas, and one or two great kivas. Tree-Ring Dates indicate construction between A.D. 860 and 1095. Una Vida meaning “one life” in Spanish, is what remains of an ancient great house. Over the centuries winds have covered the rooms in a blanket of sand. 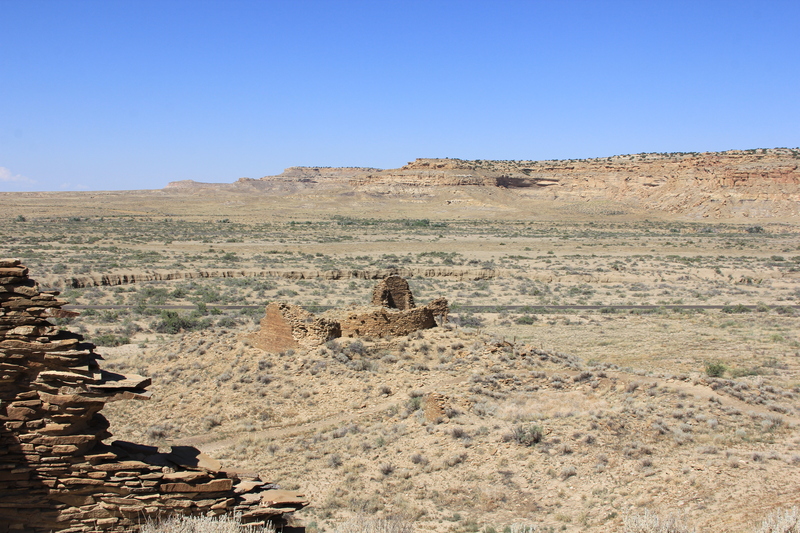 Largely unexcavated it is one of the three earliest Chacoan great houses. 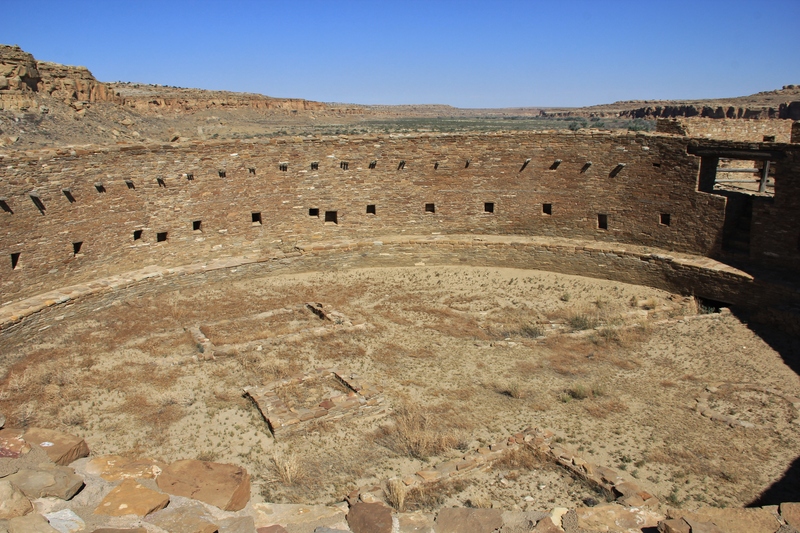 The monumental building contained about 100 ground floor rooms and kivas, and a great kiva in an enclosed plaza. Una Vida is much the same as when first documented in 1848, by U.S. Army Lieutenant James H. Simpson. Approximately 140 rooms, one elevated kiva, and one great kiva. Tree ring dates: Constructed during the late 10th to early 11th centuries, with additions in the middle of the 11th century. Hungo Pavi is an unexcavated great house that contains approximately 140 rooms. The structure is D-shaped with a single row of rooms enclosing a plaza. 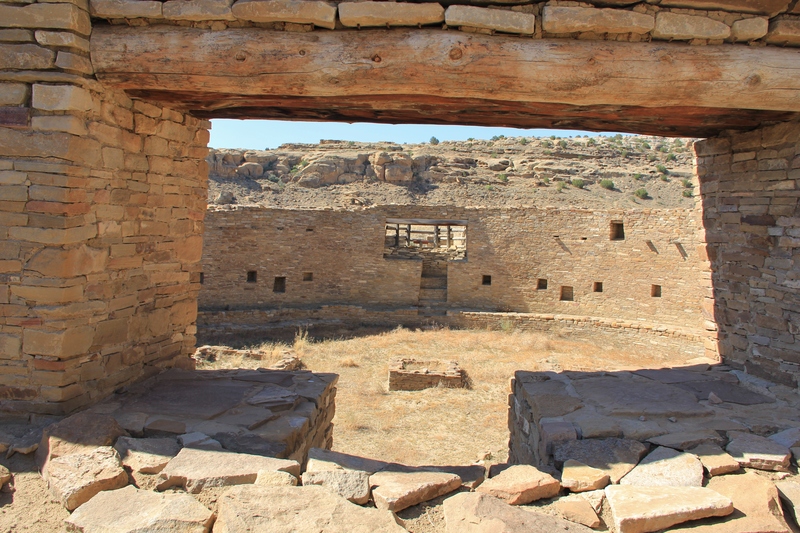 Two kivas have been identified; a central, elevated kiva within the north roomblock and a great kiva in the plaza. The north roomblock includes three rows of rooms and stood at least three-stories tall along the rear wall, dropping to a single story along the plaza. Approximately 400 ground-floor and upper-story rooms, more than 10 kivas, and two great kivas. Constructed between approximately A.D. 1040 and the first decades of the 12th century. Chetro Ketl is the second largest Chacoan great house. 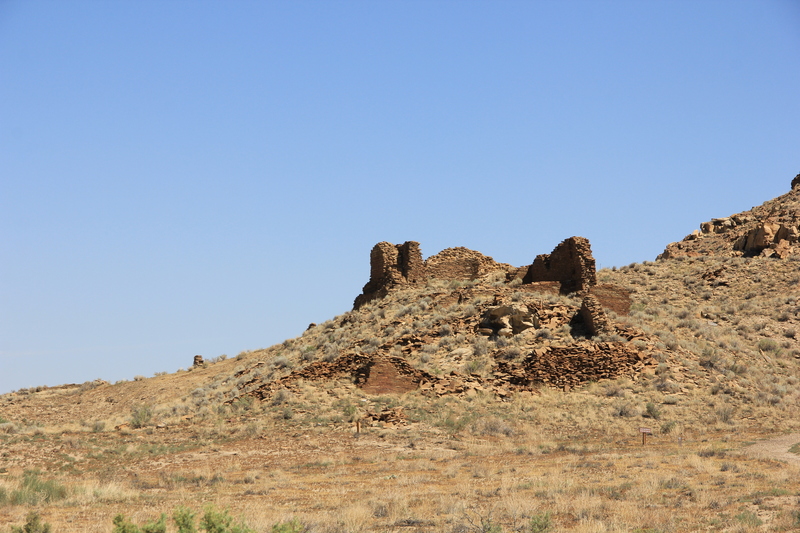 It covers more than 3 acres, and contains a great kiva and elevated kivas. There were as many as 400 rooms which may have risen to four stories along areas of the north side. 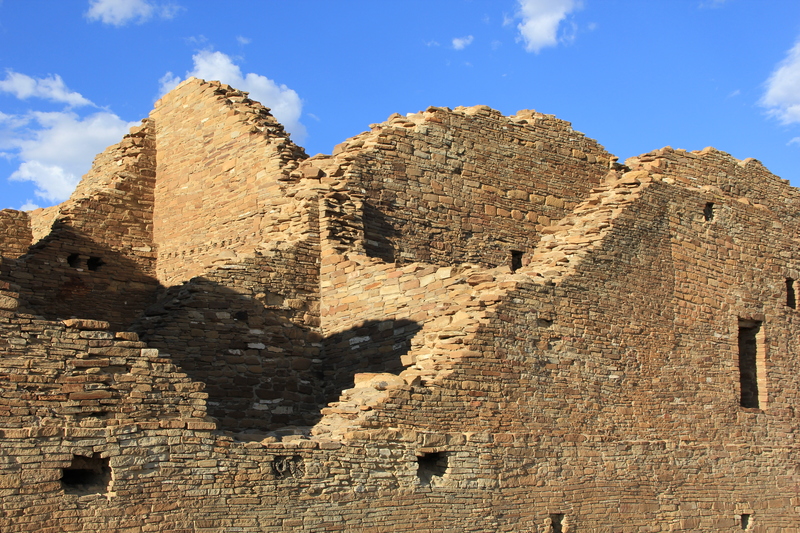 The Chacoans often placed great kivas in the plazas of the great houses. Hundreds of people from surrounding communities and the region would have public gatherings and ceremonies in these round rooms. Scientists estimate that Chetro Ketl required the wood of 5,000 trees, 50 million stone blocks and 29,135 man-hours of construction to erect. 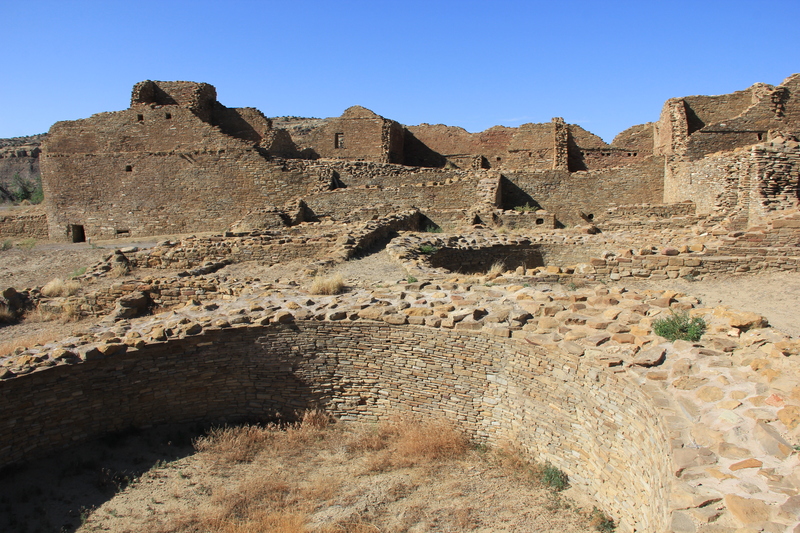 Pueblo Bonito (Spanish for “beautiful town”) is the best known of all Chacoan great houses. This D-shaped great house is the biggest of all Chacoan great houses with 32 kivas, 3 great kivas, and over 350 ground-floor rooms. There may have been as many as 600 rooms in all. Pueblo Bonito rose to four stories along its north arc of rooms while the rooms facing the plaza were primarily single-story. Approximately 300 rooms and 17 kivas. Tree-ring dates indicate construction between A.D. 1060 and the early 1100s. 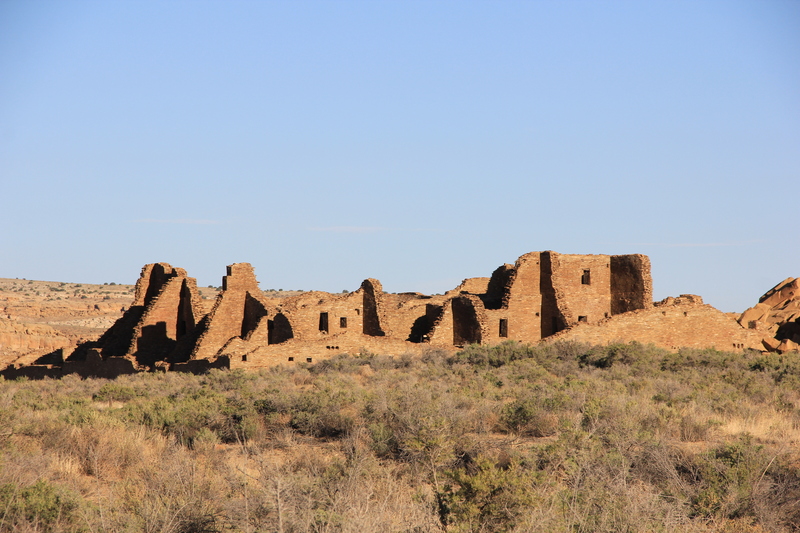 Pueblo Del Arroyo originally stood up to four stories tall, and contained roughly 125 ground floor rooms. 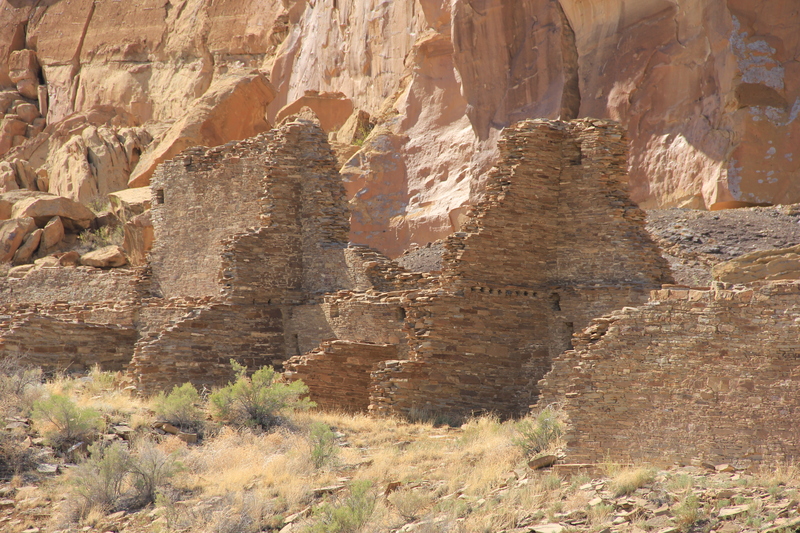 With approximately 300 total rooms and 17 kivas, it is the fourth largest of the Chacoan great houses. Construction occurred in stages, with initial activity occurring during the A.D. 1060s and additions into the first decades of the 12th century. A great kiva with two antechambers and a small number of additional, attached rooms. 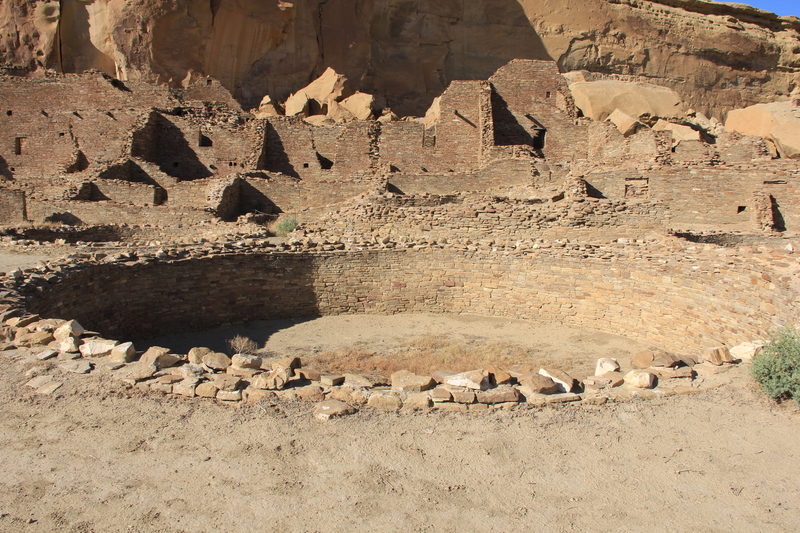 Construction of the great kiva may have begun in the middle-11th century and use likely ended in the early-12th century. Casa Rinconada is an isolated great kiva located on top of a ridge on the southern side of the canyon directly across from Pueblo Bonito. It has an average interior diameter of 63 feet (19.2 m.). 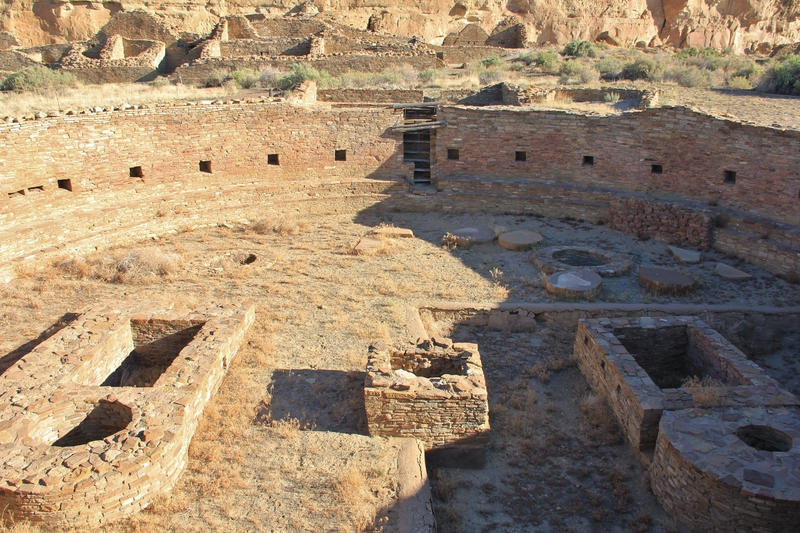 It contains all features generally associated with great kivas including a firebox, an inner bench, four large seating pits that served as foundations for roof supports, two masonry vaults/foot drums, and 34 niches encircling the great kiva. In addition, the kiva includes a 39 foot long (12 m.) underground passageway which enters the room from the northern antechamber. Many of the great houses are within line of sight of each other, facilitating communication between them. Whatever they said to each other that encouraged them to build such a complex society will probably never be known. 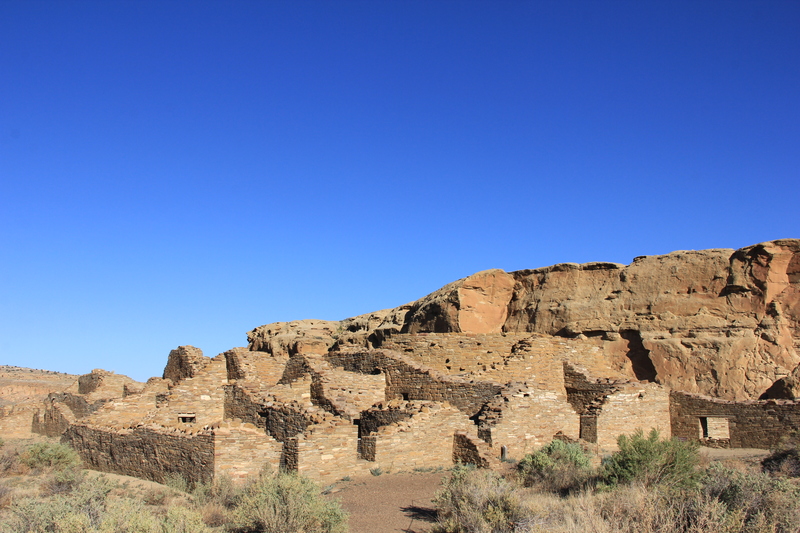 The ancient ruins at Chaco Canyon have been designated a UNESCO World Heritage Site for its high levels of political, economic, and cultural development. It stands with sites like the Egyptian pyramids, Stonehenge, and the Great Wall of China for its uniqueness in the world. This entry was posted in environment, history, local economy, the hungry brain and tagged Culture, history, New Mexico, photography, preservation. Bookmark the permalink. Gorgeous and informative post, thank you!